Powder coating technology that has made a major impact in the finishing industry. The POWDER Booth finish is fast replacing liquid and plated finishing for a variety of reasons. No primer necessary: Powder Coating is a single coat process. Less manpower: Powder Coating gives advantage faster productions, no mixing, unskilled application technique, very little equipment maintenance required. Environmental : in powder Coating there is no solvent protection content, no fumes to exhaust, cleaner shop floor, healthier labor, minimized fire hazards. Energy savings: Powder Coating needs shorter curing schedules for 15 minutes at 180 deg.c. Less rejection: there is no Wet Application virtually eliminates paint shop rejections. Superior looks: There is no total absence of runs, sags, drips and bubbles - giving uniform, long lasting finish. Satisfied customers: users are satisfied customers. Tough coat: parts with excellent resistance to mechanical and corrosive abuse. We offer multi cyclone recovery system a range of recovery Powder Coating Booths including cartridge-style Powder Booths, Conveyorised Powder Booths. POWDER COATING PLANT : Powder coating plant is a broader way of handling the powder coating process in a more precession way. Powder coating plant are been categorized into two main areas Batch Powder Coating Process & Continuous Powder Coating Process also termed as Conveyorised Powder coating Plant. POWDER RECOVERY BOOTH The powder coated spray chamber with the multi-cyclone recovery gives almost 98% powder utilization. It is maintenance free and has a very long life. The powder booth is easy to clean, resulting, in a quick color change and is safe to operate. No powder spillage out of the booth and maximum recovery through the multi-cyclone result in pollution control. AFTER FILTER (POST RECOVERY SYSTEM) Multi-cyclone helps in maximum utilization of chargeable powder. Very fine Powder to exhaust as per the pollution control norms. A number of filter cartridge are mounted inside the sealed metallic chamber. The air enters the chamber and the filtration occurs outside in. Periodic purge removes the powder and clean the cartridge. Clean air is given out through the blower outlet. 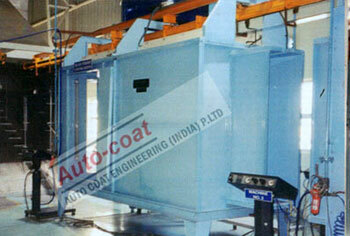 AUTOCOAT POWDER COATING OVENS Autocoat are the leaders in manufacturing of Powder Curing Ovens. Design manufacturing, installation and commissioning of is on turnkey bases. Offered as a complete package. Autocoat Powder Curing Ovens are available in many different sizes, types and temperature ranges. Batch type powder coating booth with Multi-cyclone recovery system. 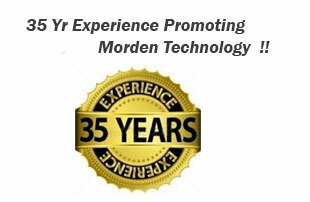 Powder curing ovens with electrical, oil fired & gas fired heating options are available. Conveyor track and trolley (manual) for material handling as an option. Autocoat Engineering wide experience & expertise of designing & commissioning Large Powder Coating Plant in India which include, Pretreatment Plant both dipping or Spray type both conveyorised and batch type. Powder coating system has become very popular in the industry for indoor durability products also. 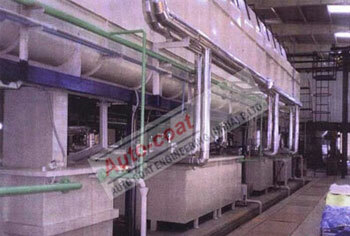 Powder coating plant manufactured by Autocoat Engineering can give best results to handle any type of color or powder. Autocoat Engineering is the most experienced Manufacturer Conveyorised Powder Coating Plant in India since last 35 years. Autocoat Engineering have been manufacturing Powder Coating Booth of Superior quality in India among other valuable products .We have wide experience of manufacturing Powder Coating Plant with different material handling and different product size , and different production volume.